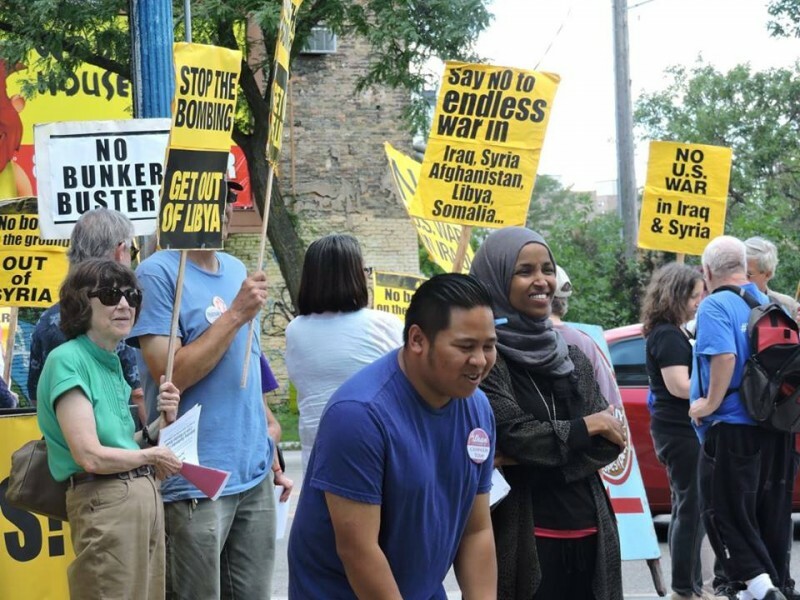 Minnesota says ‘No to endless U.S. wars’ | Fight Back! Minneapolis, MN - Over 50 people protested on Aug. 6 to mark the 71st anniversary of the atomic bombings of Hiroshima and Nagasak. The call was to stop to the endless series of U.S. wars and military interventions. The protest came five days after the start of what appears to be a new campaign of U.S. airstrikes in Libya. 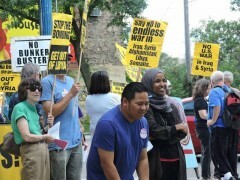 The protest was in the West Bank neighborhood of Minneapolis in front of May Day Bookstore and was well received by many African members of the community who joined in the protest or rolled down their car windows to wave and give peace signs to protesters. After the protest there was program at Mayday Books with Sami Rasouli, an Iraqi-American peace activist who works in Iraq with the Muslim Peacemaker Teams where he gave a firsthand account on the affects of U.S. intervention. The protest was organized by the Minnesota Peace Action Coalition and endorsed by a range of Twin Cities area peace and justice groups.